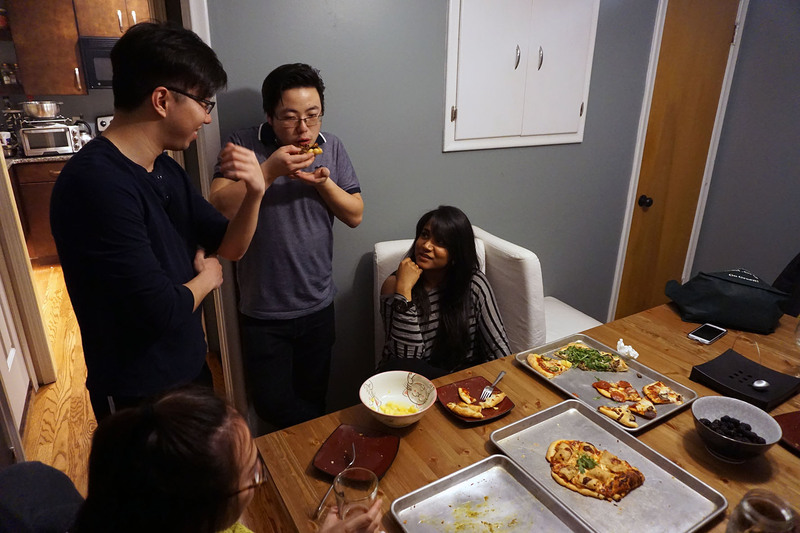 So last time I had a “No chain store pizza party”, which basically meant you can’t bring Domino’s, Pizza Hut, Little Caesar’s, etc. 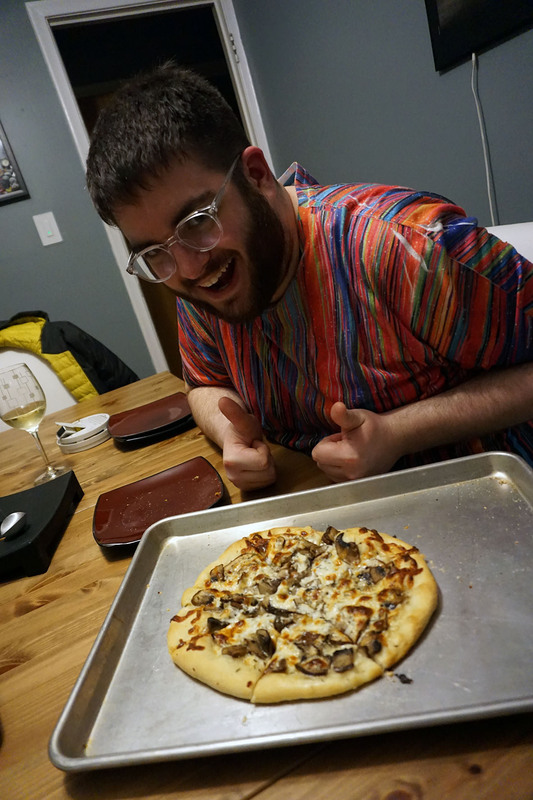 Each person brought a large pizza, and we all learned about new pizza places that were more local and had unique pizzas. 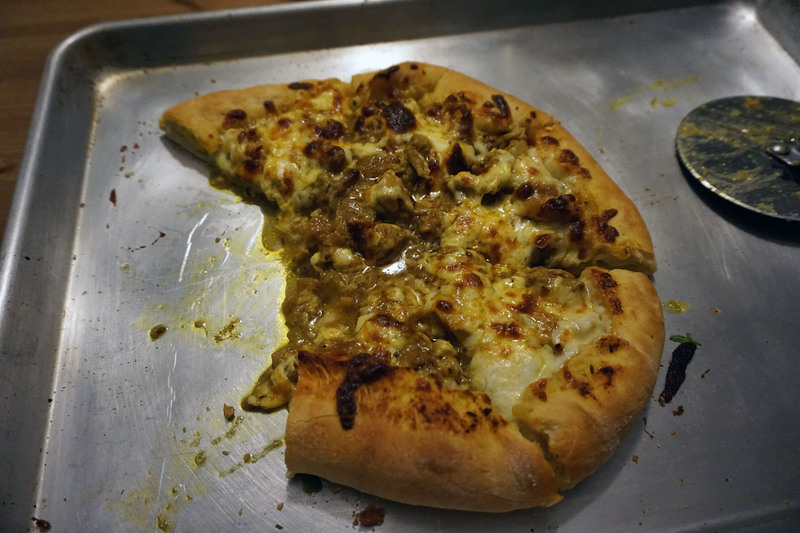 I still go to Curry on Crust since that party to grab a pizza. 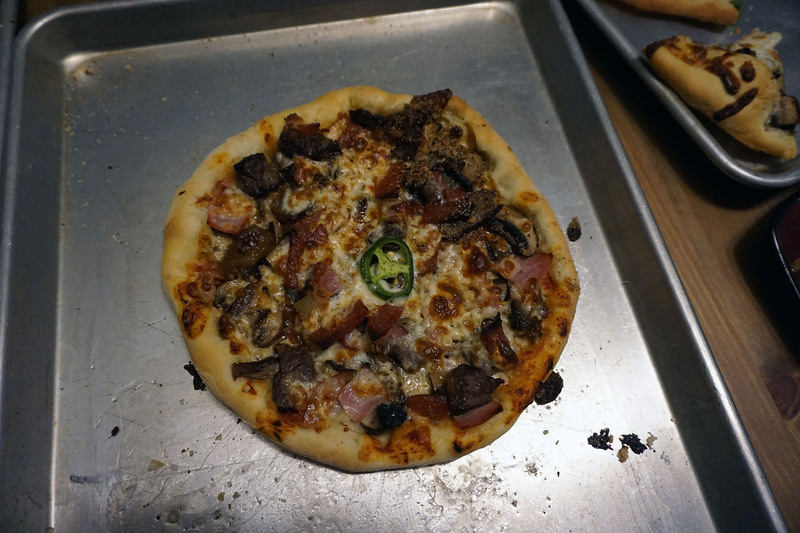 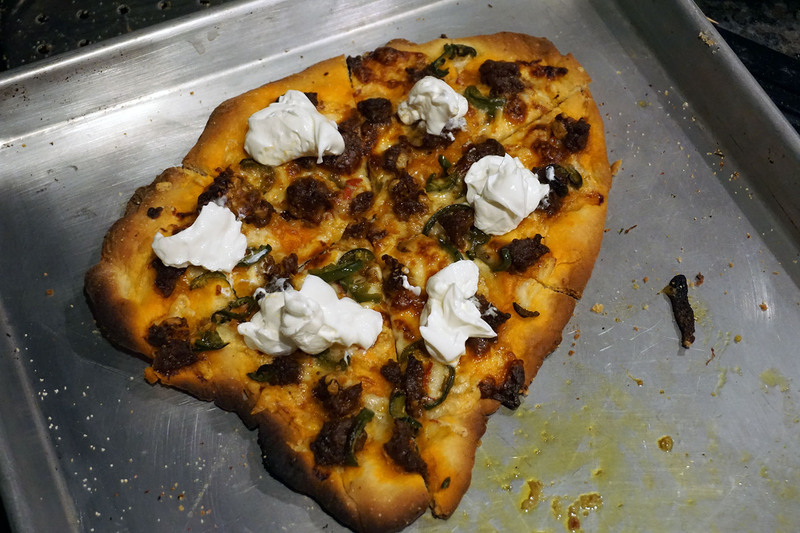 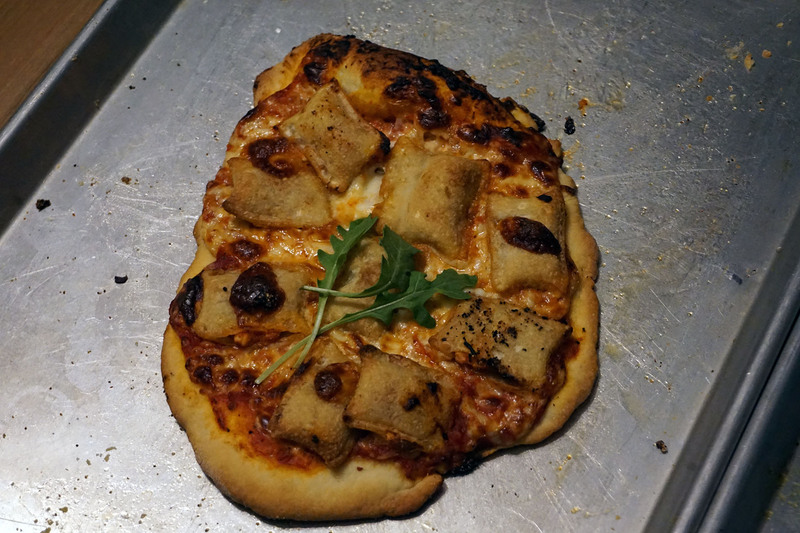 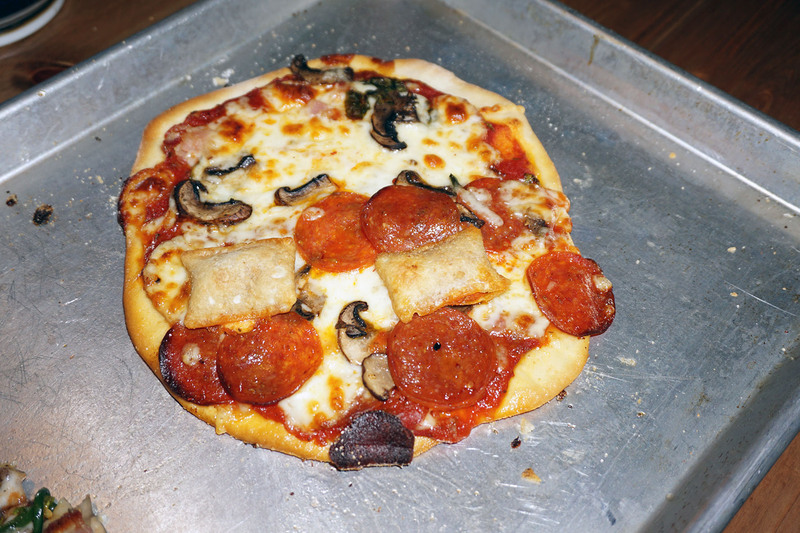 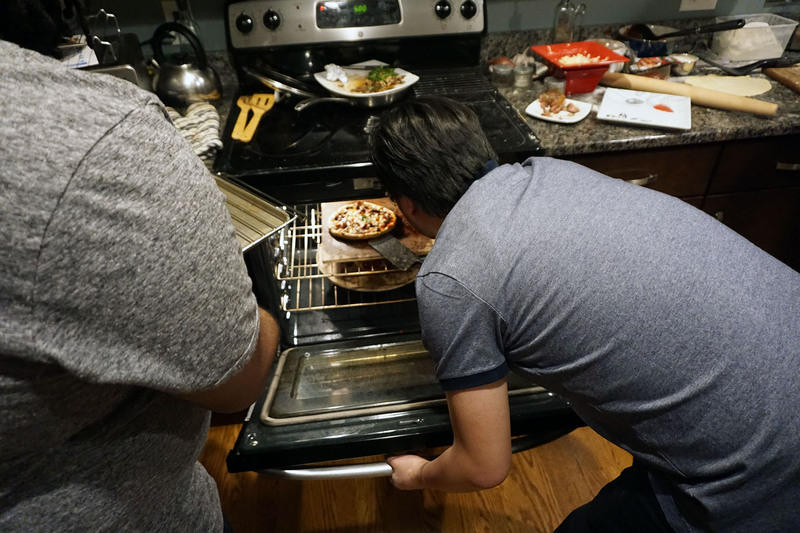 This time I thought it’d be fun if we made our own pizza. 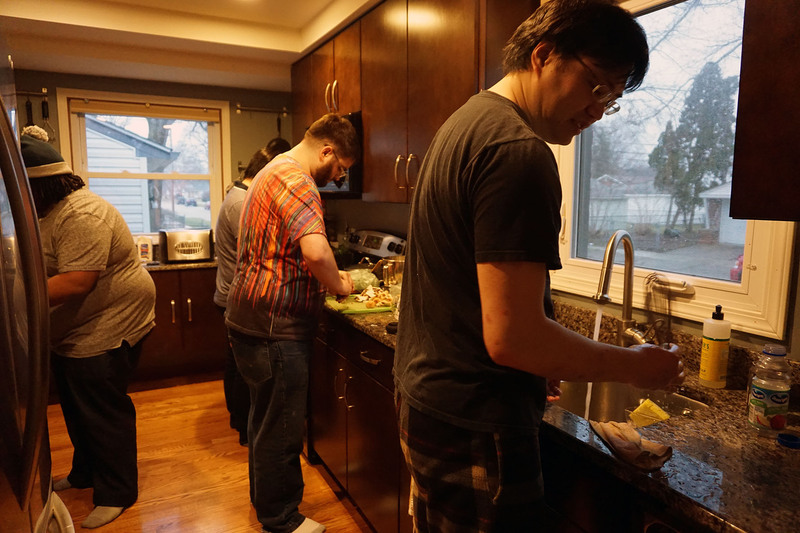 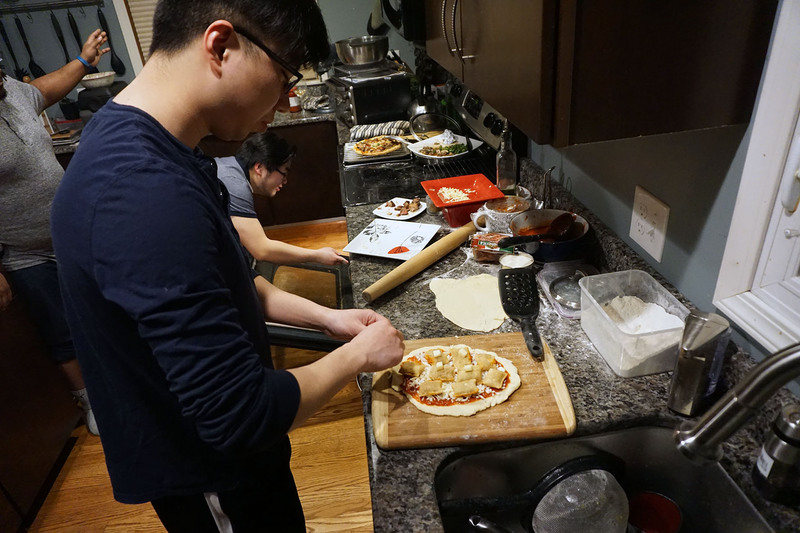 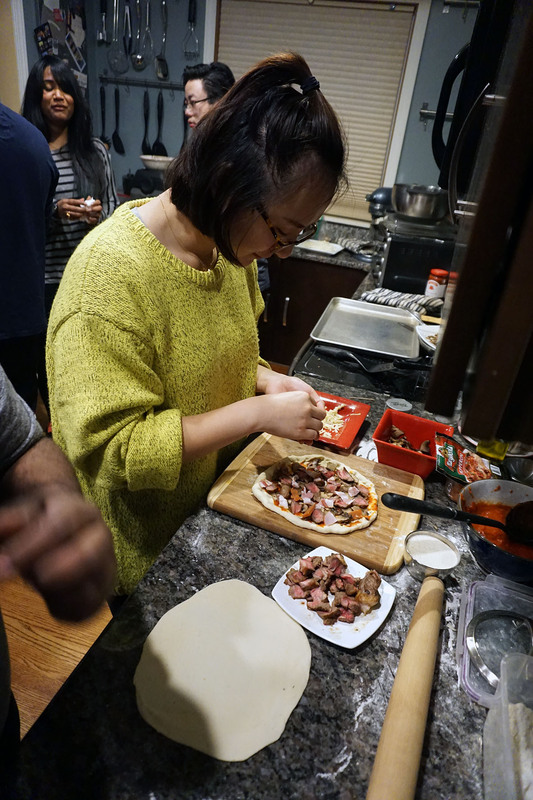 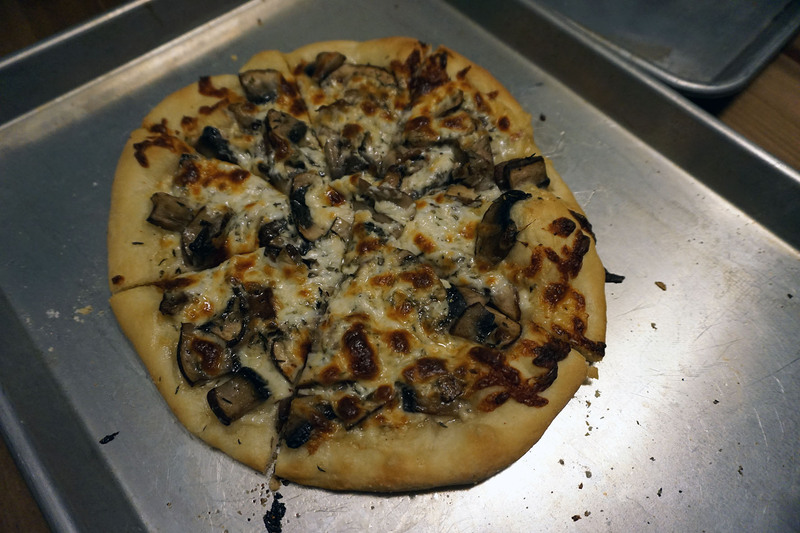 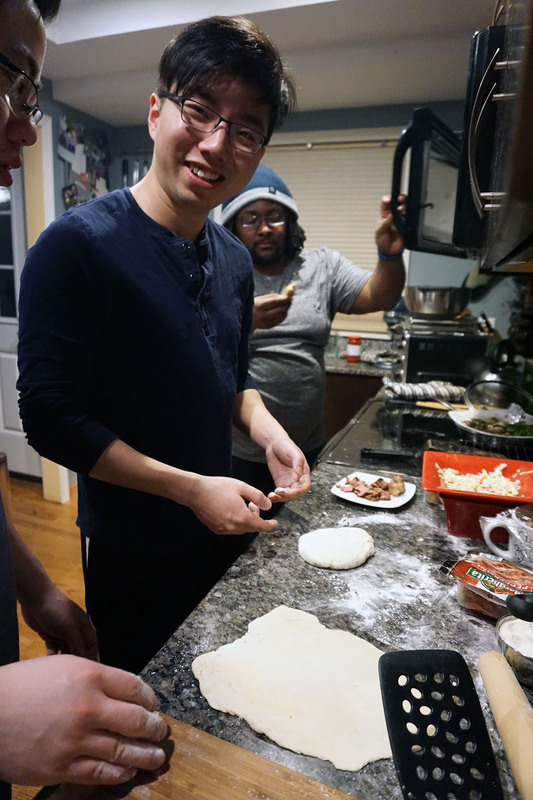 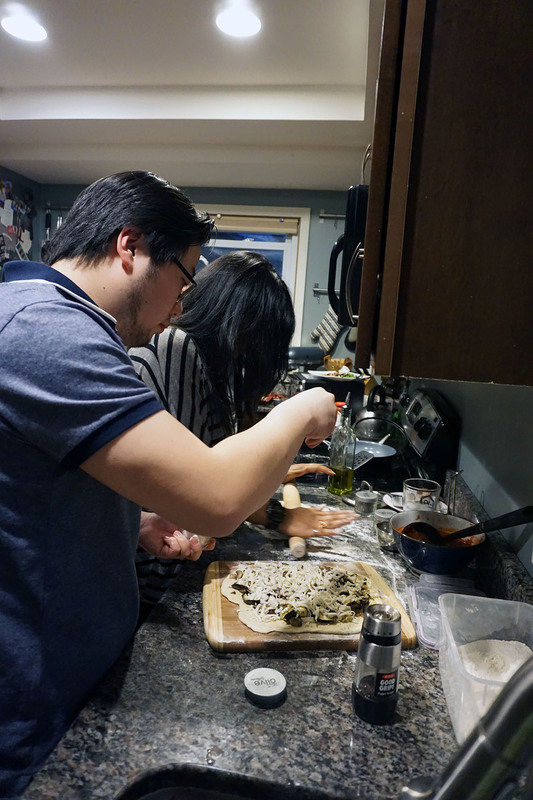 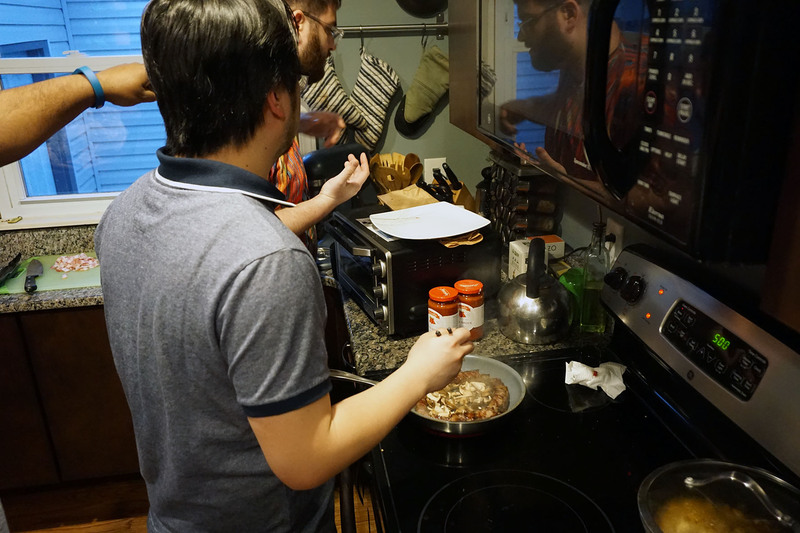 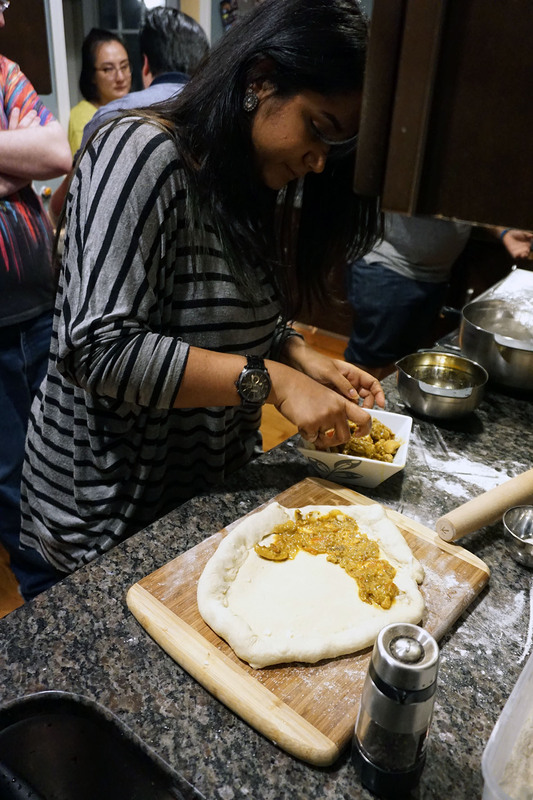 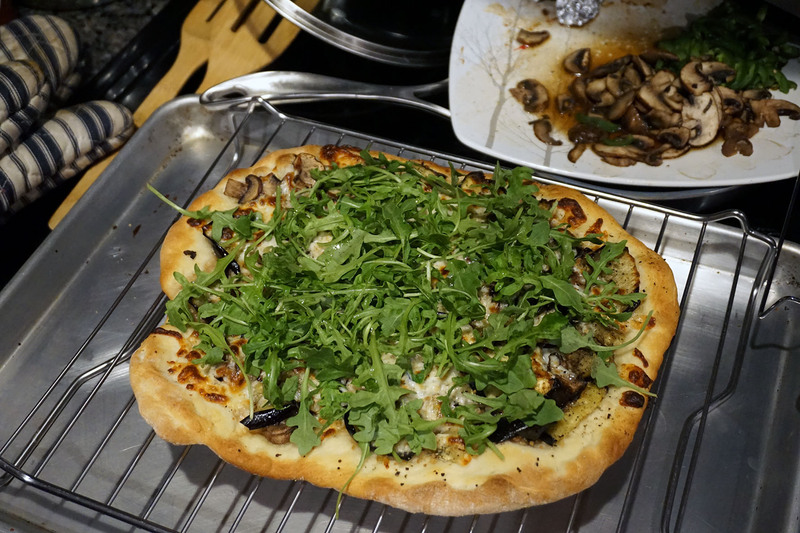 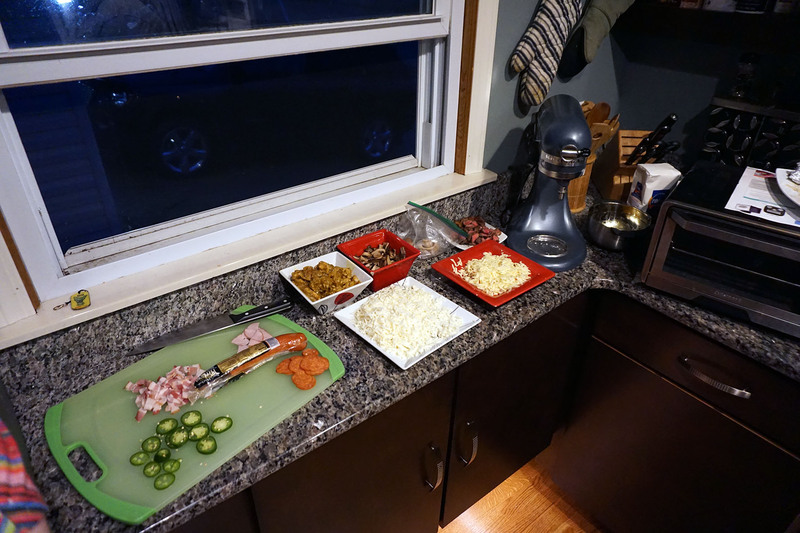 Made dough from scratch, Dante made homemade pizza sauce (I was too lazy to do that and got store-bought), and we all brought toppings and baked some pizzas. 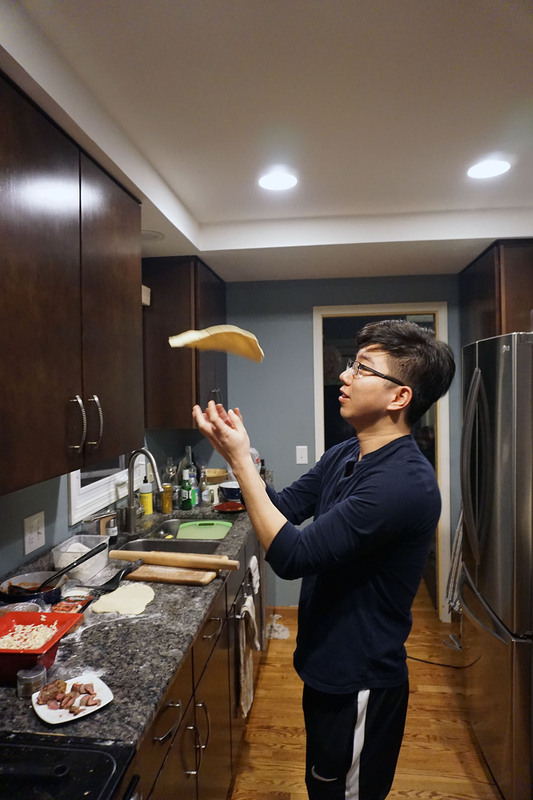 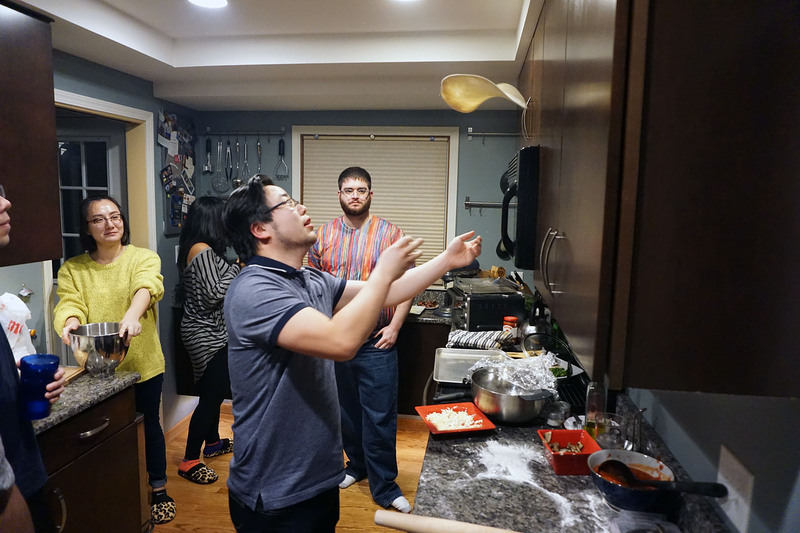 Ben even showed off his pizza throwing skills and taught a few others to do so. 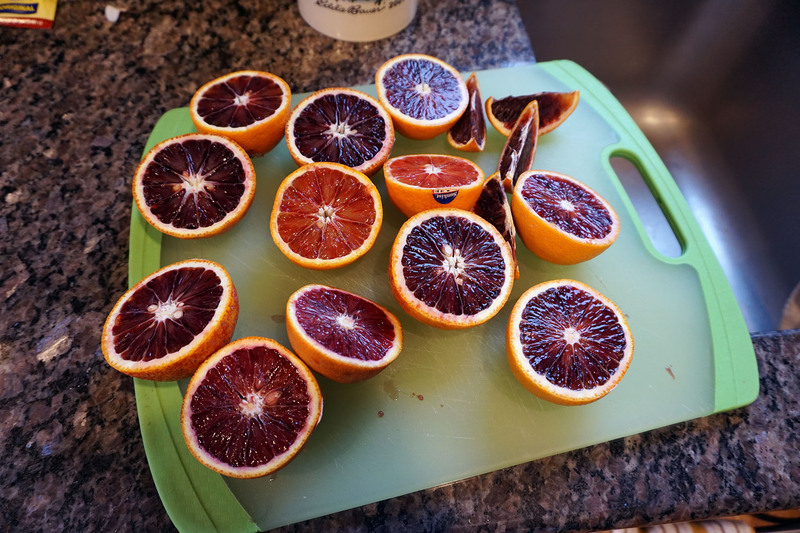 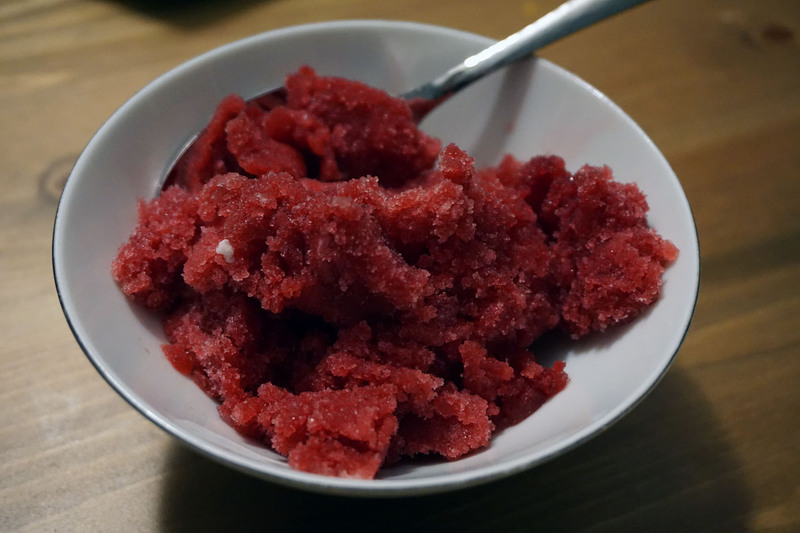 I also made Blood Orange Sorbet. 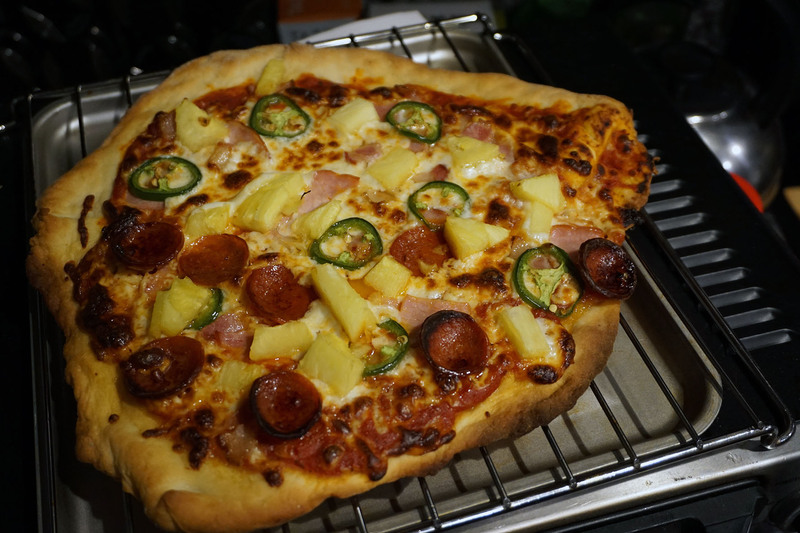 It was turned out really well, sweet without adding a lot of excess sugar and it was a nice light finish to the meal. 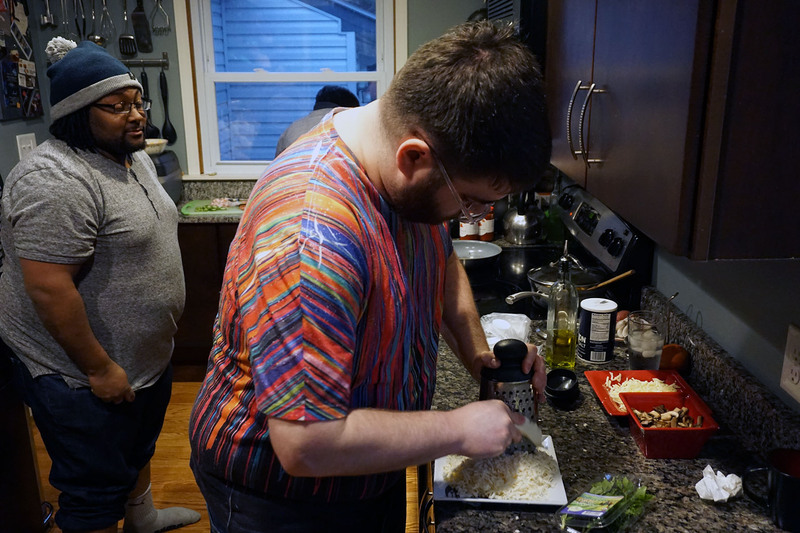 I hope to have more culinary adventures with this crew.